Three facts I know for this year 2014: SEO isn’t dead. Magento on the rise. Australian online industry on the lead. Find out more how you can integrate these three to have successful online sales! More and more Australians are considering online ventures and one of these are online stores using Magento platforms. More updates are coming for Magento but whether you like it or not, SEO is your loyal partner in delivering best results in rankings and soli visibility. If you are just planning and considering online store, learn from this article. This is also good for those who have just started and those who are in this venture for quite some time. Read, learn, and act. Undeniably, the web is flooded with different types of people. They can be the “just-passing” visitors, or devoted visitors, and those who are apathetic visitors. Although you aim at having higher number of visitors, but accept the fact that you do not need all of them. Know the potential audience that will benefit from your website and will bring you sales and fidelity. You can have brainstorming sessions and create an image of your target market, including their gender, status, age, income, behavior, hobbies, and the like. When you can picture your target customer clearly, then it will be easy to plan and develop your marketing strategy. Develop your major business goals and objectives. – Are you into increasing your sales for every customer? – Are you into building up your brand awareness and leads? – Are you into enhancing your sales by converting visits and leads into actual customers and sales? – Are you into referrals from your loyal and satisfied customers? – Are you into developing loyalty from your existing and potential customers? 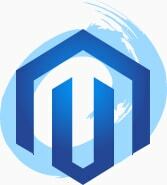 Start creating and building up your Magento store and do it right. You may or may not be able to achieve all your business goals and objectives, but at least you have started something. And from starting your Magento store, be sure you can sustain it until you have reached your major online goals. Never underestimate the role of SEO in optimising your website to obtain higher rankings in search engines. As website owners, you have these options: use the default Magento SEO, or learn how to do it yourself, or choosing the proper Magento SEO extension for your purposes, or employ the services of SEO experts. When doing SEO for your online store, focus on the following factors to reach higher rankings in search engines: framework of the website, optimisation of keywords and phrases, usability, reviews of customers, internal links, integrating social media to site, rich snippets, and using mobile versions of your site. Consider the extensions from Magento SEO where you can use different modules. They also differ in features and prices. Contact SEO agency who have SEO consultants who can explain clearly the Magento extensions and the best option for your online store. Upgrade your site with quality and meaningful content for search engines to love your site. How can you do this? Update your blog regularly because it is necessary to achieve higher rankings. Use more keywords but remember, avoid overusing them. Generate meaningful guest posts and avoid overusing links. Upload some videos featuring your products. Surveys show that there are more than 50% of the users who are using product videos in making decisions for their online purchases. Provide your customers and potential consumers with User Guides to develop confidence in your products and services. Press releases can have impact on the behavior of consumers; thus, will develop confidence in choosing your brand. Develop quality and attractive product pictures. As online store owners, you do not only aim to attract visitors and customers, but also retaining these good customers. One way to do this is to develop attractive pictures of your products. Let’s face it. Most of our customers are attracted to beautiful pictures and no matter how superior and useful your products can be, customers may turn off my unattractive product photos. What I am trying to say is that pictures do matter. Show off your products with appealing and clean pictures. Imagine yourself as potential customer. What would like to see in the site that draws you to buy something from it? Make every detail of the picture beautiful and allow your customers see your products in various angles. When you have the right and attractive pictures in your online site, your potential customers will love to view your site and will return when they need something from your site. Optimise your pictures to produce features that customers would love to see again! Level up the usability of your online store. Website’s usability is crucial for SEO and your visitors. When you have an online store with effective features for usability, then your customers will be back regularly. What does it means to have usability features on your site? Your e-commerce site is easy to browse, exciting, and helpful for the browsers. How can you do this? Being easy to browse or navigate means that your online store has the right framework for your visitors to surf and search engines to value. It also means that your website can load fast – really fast! Make certain that your website is relevant to your customers and visitors. Let them know that they can find what they want. 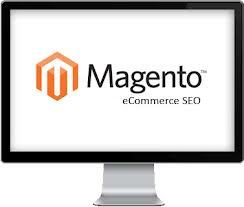 Your SEO agency can show you how Magento Extention can help you in this function. Make the checkout process very easy for your users. Developing your email list will be useful. SEO experts agree that if you are not developing and taking care of your email list, then, you are falling short of your means. Email list is vital if you want your business to grow. Experts believe that having an email list is dependable and effective way to convert your subscribers into actual customers. Your email notices and messages should reach and attract wider audience. You can do this by offering exclusive discounts and freebies, publishing fresh news, giving them updates on your products, relevant blogs and articles, and many more. Connect to people by communicating to them through social media. These days, it is unimaginable for any website that has no link to a social media. Your target audience is people. People want to talk and share. With the wide range that your online store can reach, you cannot reach to all of them by phone only. Social media is a powerful venue to connect to people. Optimise the use of social media to interact and engage with your customers and allow your online community to grow. Determine and concentrate on what is relevant to your community by sharing content that is meaningful to them. Online presence also means that you can be accessible to your customers even on any form of device. Surveys show that there are more than 80% of smartphone users who like to have product information on their mobile gadgets when they are buying in stores. There are 4 out of 5 customers use their mobile phones to buy products. When you talk about the future trends, it’s mobile. Most people, in any lifestyle they are in, prefer mobile devices and tablets instead of desktop computer units. Without these gadgets, you are sort of letting go of your good customers to your competitor who have sites that are easy to use and accessible. Provide your community with efficient and effective customer service that really helps. Customer service is vital and crucial to be successful on your online ventures. Having a “Class A” customer service is just the tip of the iceberg. It has to be a service that helps and responds during their purchase and after sales process. Having a team that share your concept of quality customer service is an effective way of reaching to a wider audience. People will talk about your website. People will share your website. Aside from live chat, social media like Facebook, and use of email-telephone services, you have to let your customers know that you and your team are there to respond and help. Remember, Australian market is active and giving every business owner the right opportunities to venture, including developing their Magento store. And when you join the online business community, employ the services of SEO experts/consultants and Magento platform that rocks e-commerce objectives. SEO is not dead and Magento stores soaring high online. We are hopeful that the tips we have shared here can help in your online venture. For free consultation, contact CreativSEO through email or call them at 1 300 055 867.